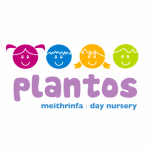 Plantos means kids in Welsh! We are an English language setting. At Plantos, we have listened to what parents desire for their children when choosing childcare and have responded with a comprehensive range of services that help ease the pressures of balancing the challenges of modern family life. embarked on a journey of uncompromising commitment to best practice in everything we do. We strongly believe that the early years are the foundation of our children's intellectual, social and behavioural development and as a result we strive to provide the best caring environment that encourages learning through play, fun and bilingualism. We also offer wrap around drop off and collection service from local schools. We are active members of both NDNA and MYM. We are in St Mellons. Easily accessible from Pontprennau and Pentwyn via the A48 and only 10 minutes from Roath! We run a holiday club for children aged up to 8 years old and we offer school drop offs and pick ups from local schools subject to availability. Please contact us for further information on our fees. We offer discounts for siblings and for a full week. We do morning and afternoon sessions too! We offer term time placements. Please call to arrange a tour of the nursery. Wrap around fees depends on which drop off or pick ups you require. We also offer breakfast club, after school club and holiday club. Below are the latest reviews for Plantos . Please note that reviews represent the subjective opinions of other Childcare.co.uk users and not of Childcare.co.uk. Parents must carry out their own checks and references on childcare providers to ensure that they are completely happy before enaging in the use of their services. My older daughter has been at Plantos for a year and a half and my younger daughter has been going for around 6 months. Finding the right childcare makes a huge difference to the experience of returning to work after maternity leave and my girls love going to Plantos! They’ve bonded fantastically with the staff there and have made great friends. They do lots of different activities and come home every day tired but happy and full of stories. My one year old attends plantos twice a week and just loves it. I used a different more well known nursery for my eldest and the difference between the two is massive. The staff in Plantos care and are so welcoming. Making the children feel at home is priority to them and is the key to their success. My daughter always eats all of the meals as they are home cooked on site. It's very reassuring for a working mum that she is cared for so well and supported in all her stages and milestones. The flexibility they also show families who need additional help at times is fantastic. I am a teacher and have always been fortunate enough to have family look after my children whilst at work. I wanted my daughter to socialise with other children before she starts mainstream nursery. I was pleased to be recommended Plantos nursery by my sister whose two boys had thrived at Plantos. My little girl attends Plantos every Friday. The staff are extremely friendly and make every child feel welcome and comfortable. Plantos is clean and organised. My little girl has a fun filled day, playing and learning. The nursery provides many activities that stimulate and engage children. The food Provided is well balanced and staff inform you of how much your child has eaten. The nursery is simply fantastic. I cannot recommend enough! Plantos is a home away from home , the staff are amazing , great with the children encouraging, fun , active indoors and out. My daughter has been there since she was 10months old she is now 5 and they do pick up from school so she still attends 3 days a week and in school holidays , to catch up worth the great friends she has made. I couldn't recommend the nursery enough . Thank you for all the years enjoyment for my daughter.